Community based risk education and victim assistance project work for to reduce the threat of every type of explosive ordnance by making people aware and to adopt safety behavior from risky. This program is stared inn FATA science 2013. First it was started in Mohmand Agency and later on it was proceeds to Bajaur, Khyber and Kurram Agency as will. One Project Officer at PHQ FATA. One Agency Officer, two educators and one driver in each Bajaur Agency, Kurram, Khyber and Mohmand Agency of FATA. We have one vehicle GLI in each cited four Agencies too. We have conducted 5785 sessions in which 127270 people were made aware of mines risks in tribal areas. 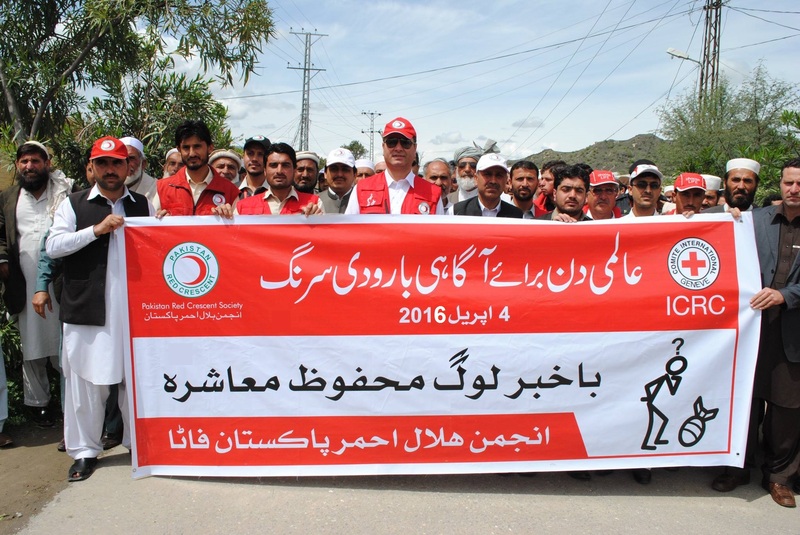 Four International mine awareness days have celebrated. Three International days of persons with disability have been celebrated. One training has been conducted for religious scholars. Artificial limbs have provided to 85 disables hailing from parts of tribal agencies and frontier regions. Have conducted 24 CBRE orientation sessions to key stakeholders across FATA.